This handy hanging device was created by an American husband-and-wife duo who got tired of measuring and remeasuring. 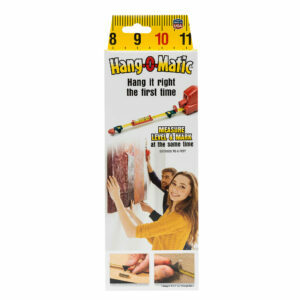 We love that the Hang-O-Matic eliminates the need for holding a pencil in your mouth. It has built-in wall anchors to make the mark. 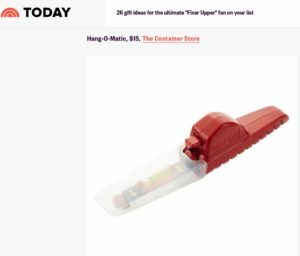 This entry was posted in Press and tagged home owner gift, how to hang a picture straight, husband-and-wife duo, new house gift, registry gift, wedding gift.